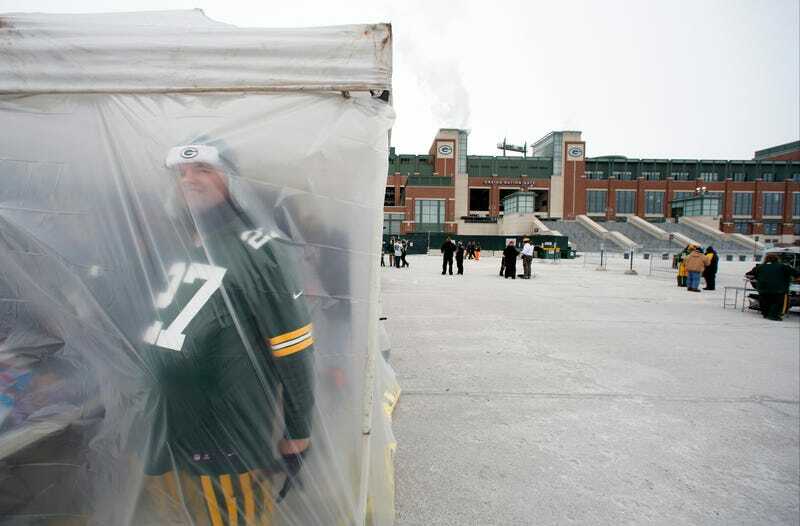 Remember when we thought it was really cold at Lambeau Field? Well, it still is cold—four degrees, currently—but that wasn't accurate evidence of how Lambeau Field is a frigid hellscape. Here are some real photos from today, thanks to AP photographers. A few fools even tailgated in the weather, because being drunk stops for nothing. Aren't you glad you're not there?